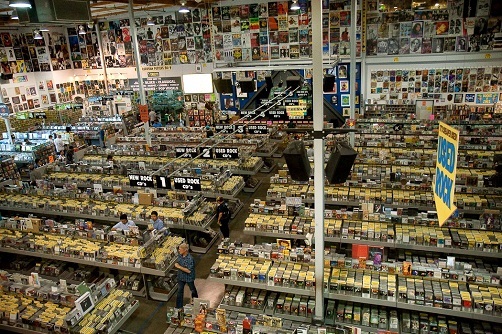 In a world of music streaming and digital releases, it may feel like there’s no place for real record stores anymore. 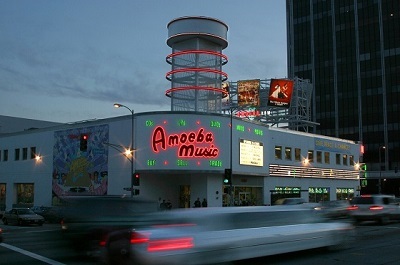 Amoeba Music in Hollywood, CA emphatically proves that theory wrong. 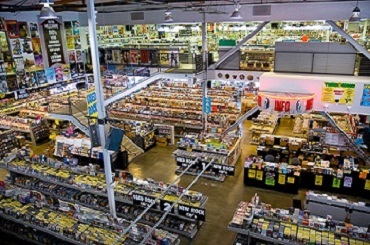 The company started in 1991, at a time when major retailers were swallowing up independent and local chain stores, drastically reducing the types of music available. In retaliation, Weinstein and his partner, David Prinz, started their first store in Berkley, CA, creating an independent music mecca. The music community took notice, and they have since expanded to Hollywood and San Francisco. “Personally, I’ve been working in record stores since I was in high school. It’s the only job I’ve ever known,” he laughs. There’s even a stage at the back of the store for concerts. Everyone from local to internationally acclaimed artists (including Paul McCartney and Elvis Costello) have performed on that stage. The best part is the concerts are always free.